The history of the BCM begins before the statute that brought it into being in 1914, and is closely linked to the history of the Christian Archaeological Society (ChAE), which was founded in 1884. 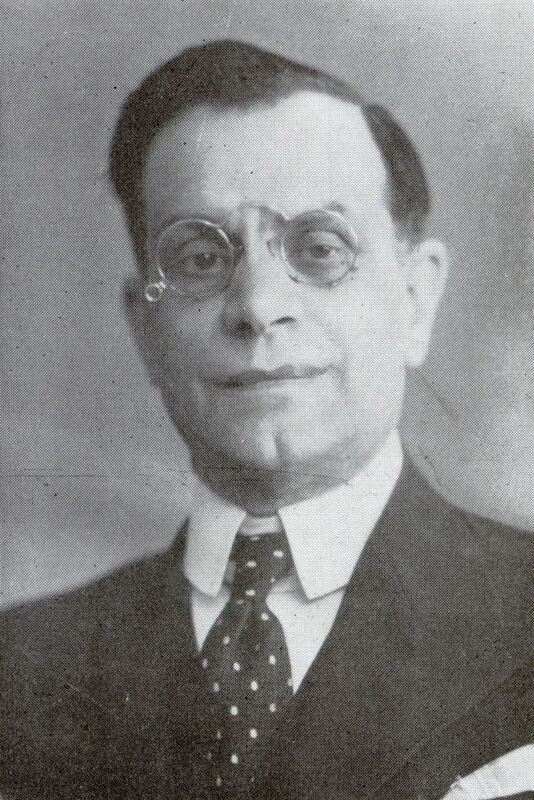 George Lambakis, secretary to Queen Olga, a founding member of the ChAE and its first general secretary, was the prime mover both in founding the Society and amassing its collection. 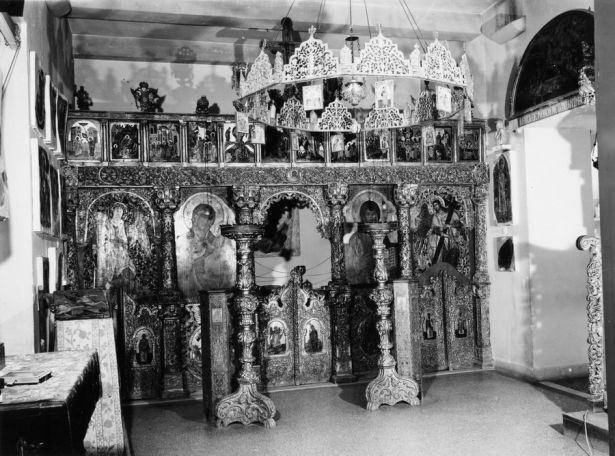 From the very start, the founders of the ChAE looked ahead to the establishment of a museum, and the first such institution found a home in 1890 at the Holy Synod in Athens. 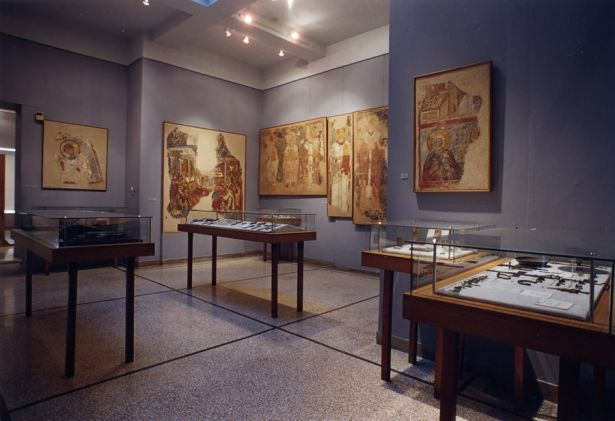 In 1893, the museum moved to a room in the National Archaeological Museum, where it would remain until 1923. 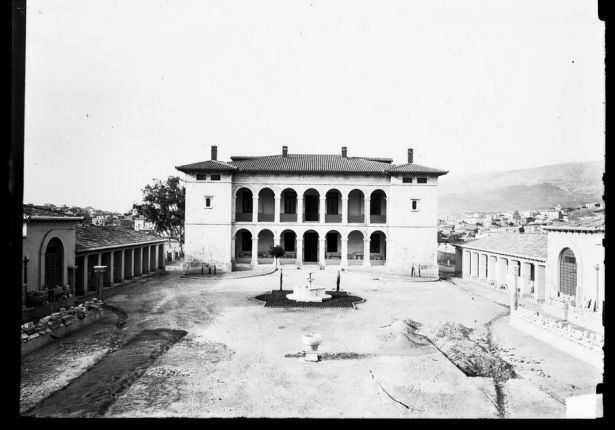 The Byzantine and Christian Museum eventually came into being in 1914 by dint of Law 401. 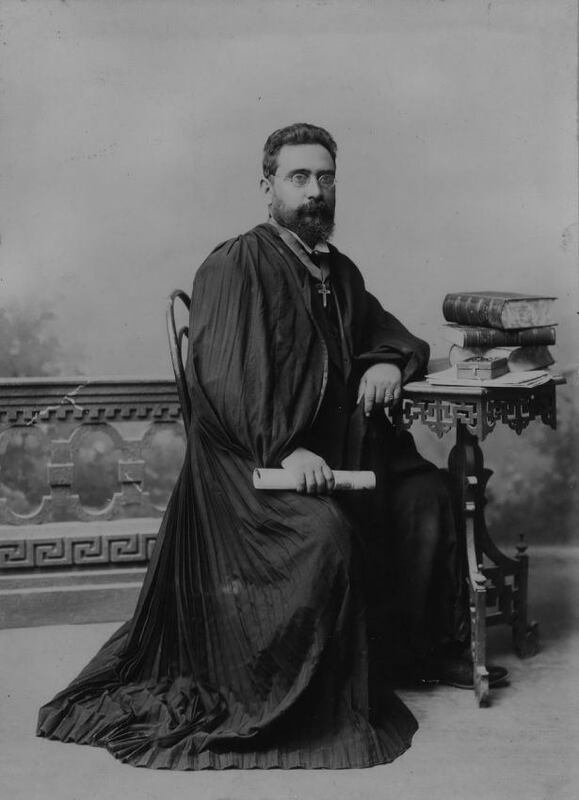 Run by a Supervisory Board chaired by prince Nikolaos, its first director was Professor Adamantios Adamantiou. 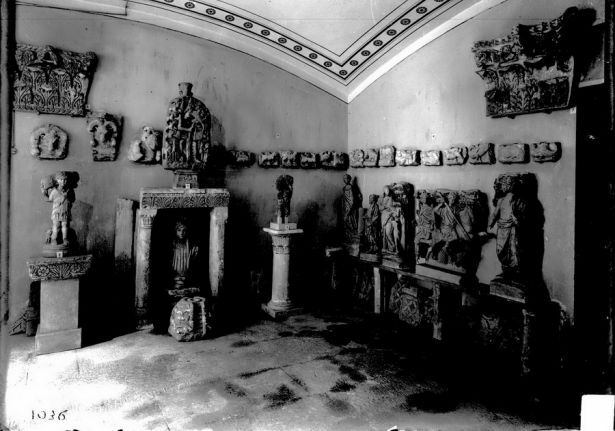 By 1923, the core of its collections were in place: The sculpture collection had been formed out of works collected from monuments around Attica and brought to Athens to be stored in the National Archaeological Museum storage facilities and in Theseion, and the artefacts in the Icons, Minor Arts, Manuscripts and Textiles collections had come to the museum by means of purchases and donations, but also as heirlooms placed in its protection by monasteries around Greece and uprooted communities from around the Greek world. 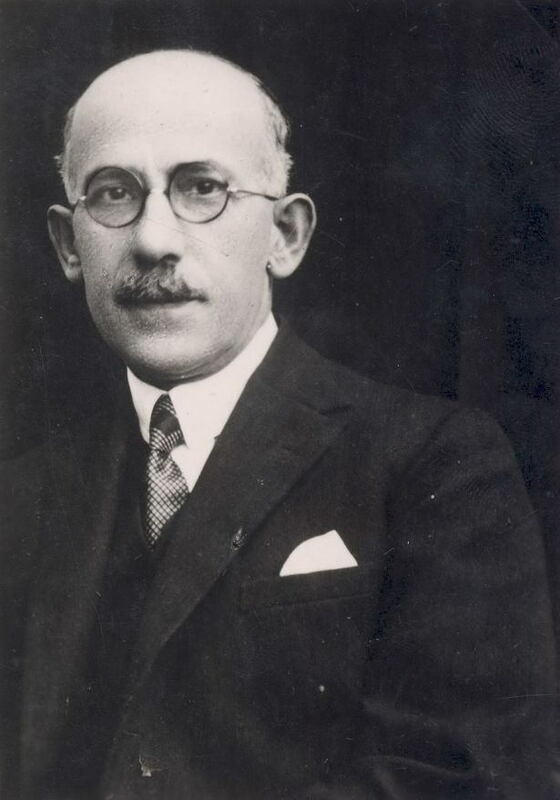 George Sotiriou, commissioner of Byzantine Antiquities since 1915, took over as director of the Museum in 1923, in the wake of the Asia Minor Catastrophe. 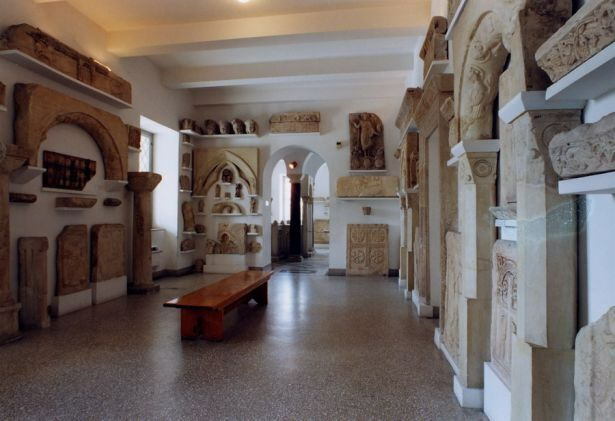 One of his first acts as director was to incorporate the Christian Archaeological Society collection into the Museum. 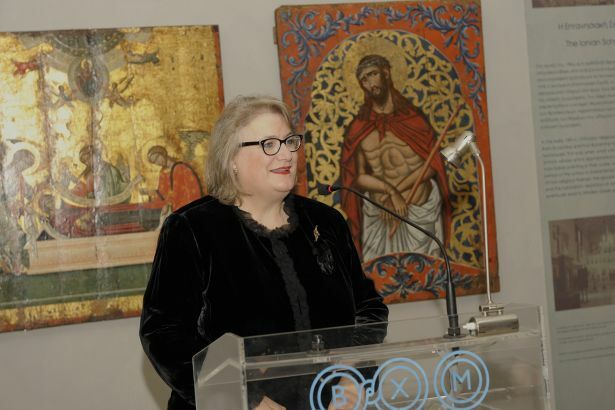 Sotiriou’s stated aim was to make the Byzantine and Christian Museum “one of Greece’s leading national museums” which would serve as a “model Museum throughout the East”. 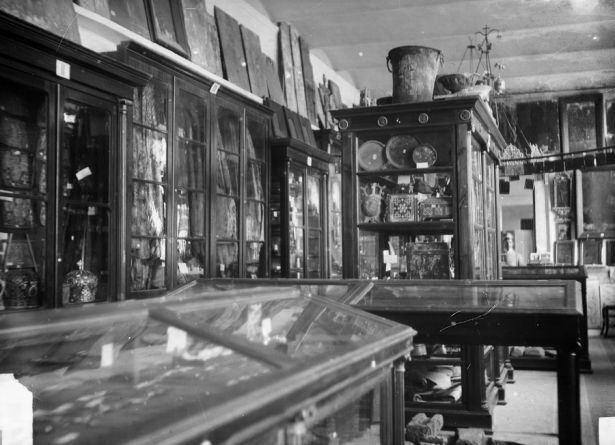 Sotiriou organized the collections amassed by the Supervisory Committee in the preceding years and exhibited them to the public for the first time in 1924 in five rooms at the Athens Academy. 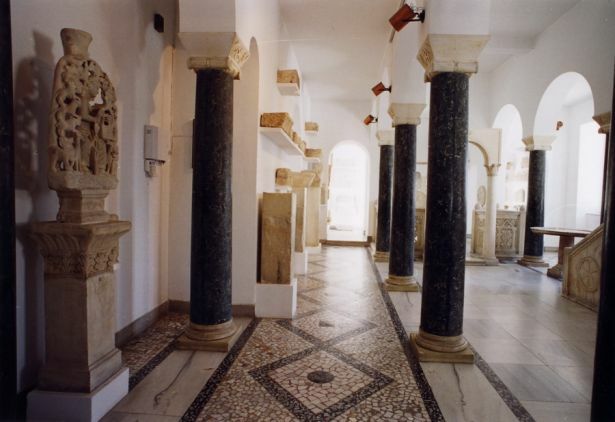 Soritiou’s prime objective remained the securing of a permanent home fit for a national museum. 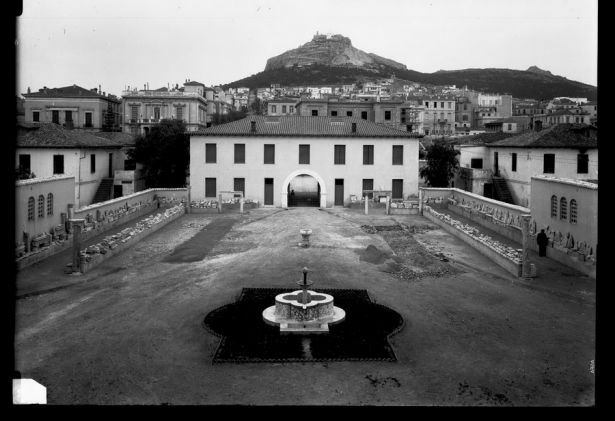 Finally, in 1930, the Museum moved into the premises that have remained its home to this day: the Villa Ilissia, a complex close to the banks of the Ilissos built by Stamatios Kleanthes for Sophie de Marbois-Lebrun, Duchess of Plaisance, in 1848. 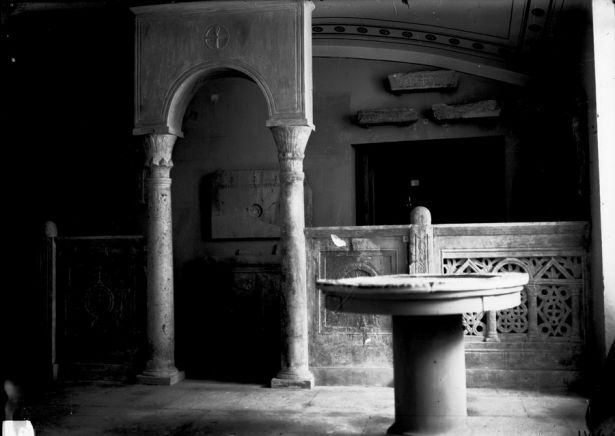 The buildings’ interiors were converted as required by Aristoteles Zachos. 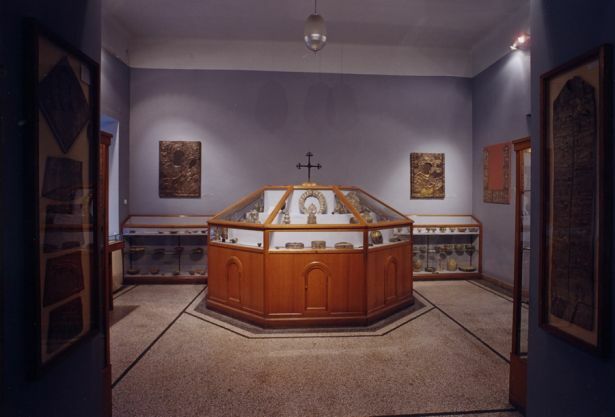 Sotiriou organized the Museum’s new permanent exhibition, which was didactic in thrust, along academic lines. 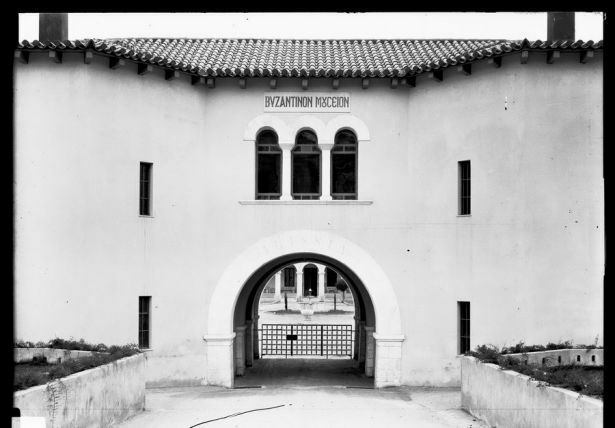 The Museum’s official opening in September 1930 was timed to coincide with the 3rd International Congress of Byzantine Studies, which was held in Athens. The Museum reopened to the public after World War Two in 1946, when a new exhibition space was built and the conservation workshop reorganized with the help of Marshall Plan funds. 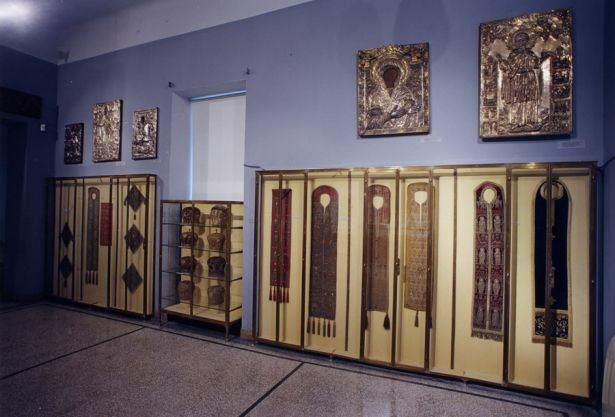 The 1950s witnessed the first temporary exhibitions: one of icons painted by Fotis Kontoglou, the other with replicas of mosaics from Ravenna. 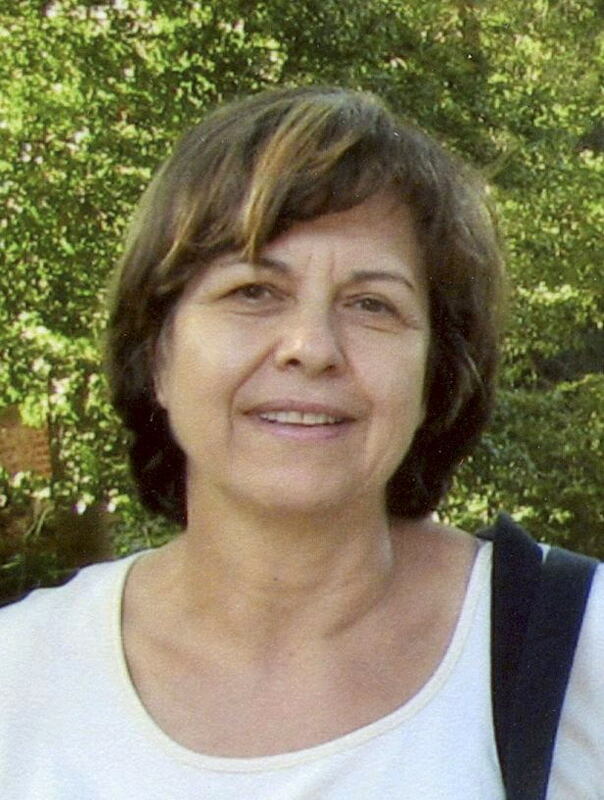 Maria Sotiriou, Greece’s first female Byzantinist, worked ceaselessly and tirelessly at Sotiriou’s side during this period. 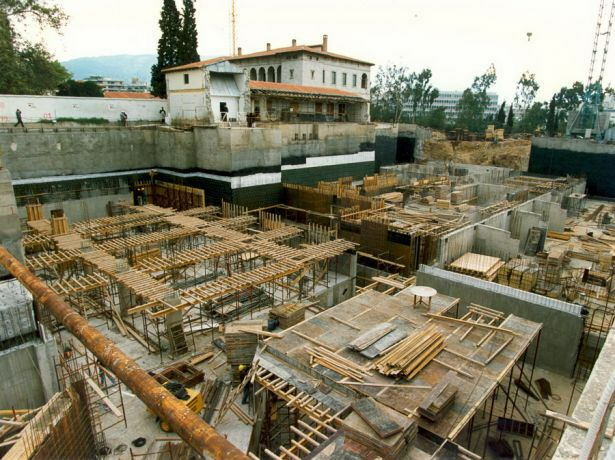 Sotiriou was succeeded as director of the Museum by Manolis Chatzidakis (1960-1975), Paul Lazaridis (1975-1982), Myrtali Acheimastou-Potamianou (1983-1995) and Chrysanthi Baltoyanni (1995-1999), Dimitrios Konstantios (1999-2010), Eugenia Chalkia (2010-2011) all respected Byzantinists who worked to enlarge the collections, update the Museum and make it an institution of international importance. The most significant change since the Sotiriou period began in the late 1980s when work commenced on extending the Museum with a view to re-exhibiting its collections. 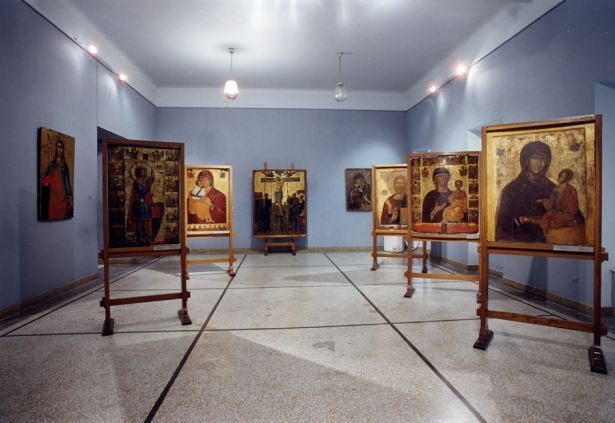 The re-exhibition of the Museum’s Early Christian and Byzantine collections was completed in 2004, and its post-Byzantine collections were completed in 2010. 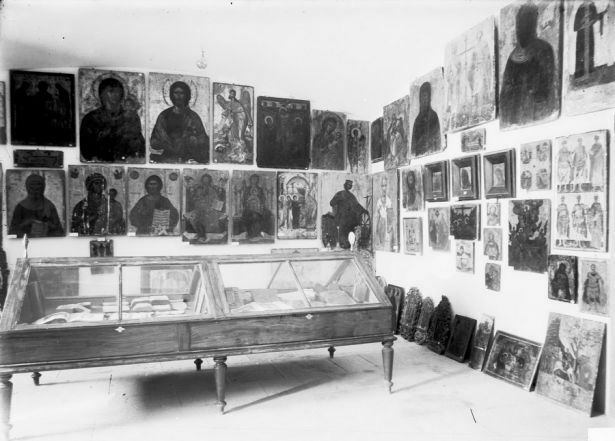 The first ChAE Museum exhibition in 1890 at the Holy Synod. ΒCΜ Hist. Phot. Arch., ΧΑΕ 1470α. 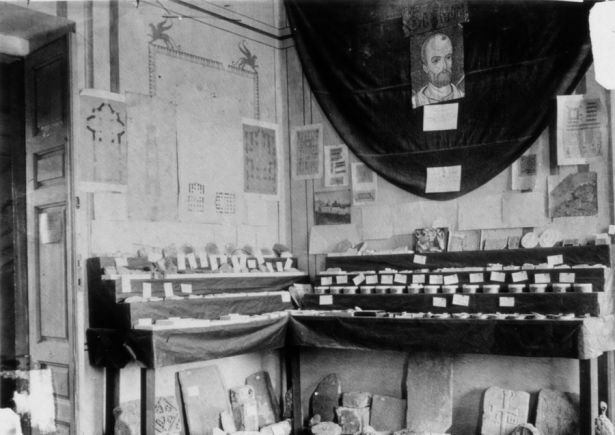 The ChAE exhibition at the National Archaeological Museum in 1893. ΒCΜ Hist. Phot. Arch., ΧΑΕ 6721. 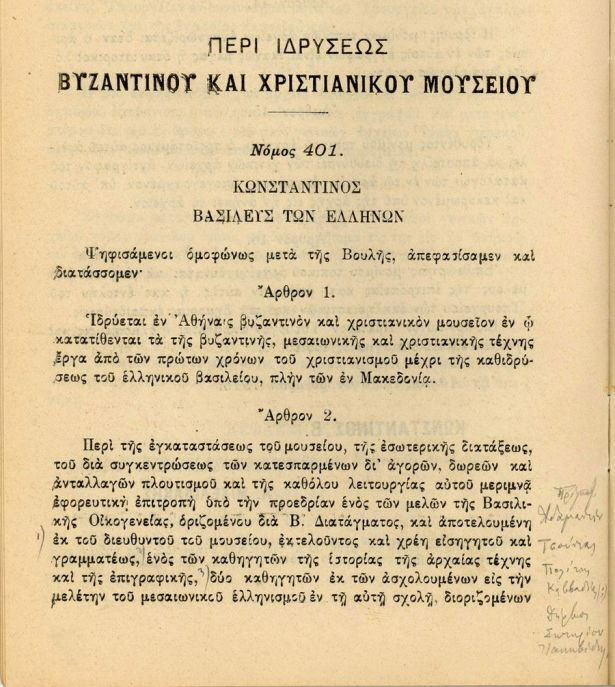 Law 401/1914 “On the founding of a Byzantine and Christian Museum”. ΒCΜ Hist. Phot. Arch. Adamantios Adamantiou, the first director of the Byzantine and Christian Museum (1914-1923). 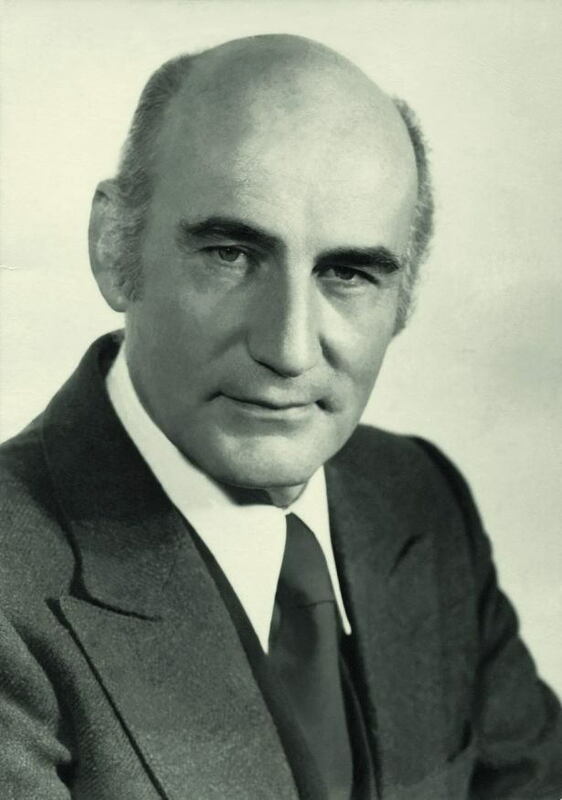 George Sotiriou (Director of the BCM: 1923-1960). ΒCΜ Hist. Phot. 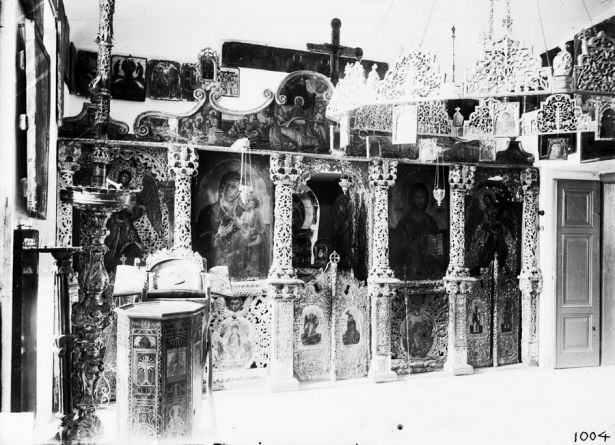 Arch., Sotiriou Archive. 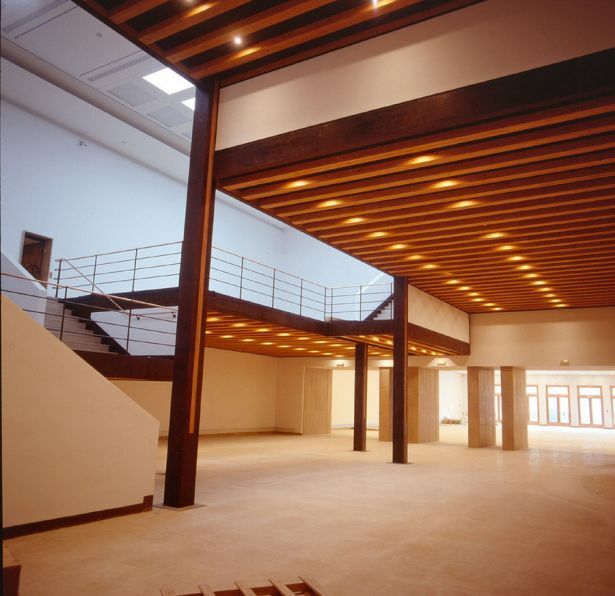 The exhibition at the Academy: exhibition spaces. ΒCΜ Hist. Phot. Arch., Sotiriou Archive. 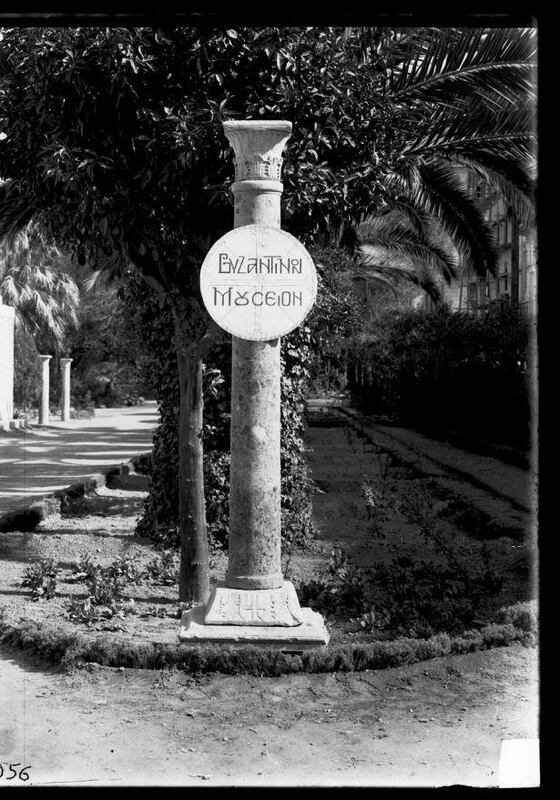 The gardens of the Athens Academy with a sign reading “Byzantine Museum”. ΒCΜ Hist. Phot. Arch., Sotiriou Archive. The Villa Ilissia’s central and northern buildings just after the site was given to the Byzantine and Christian Museum. 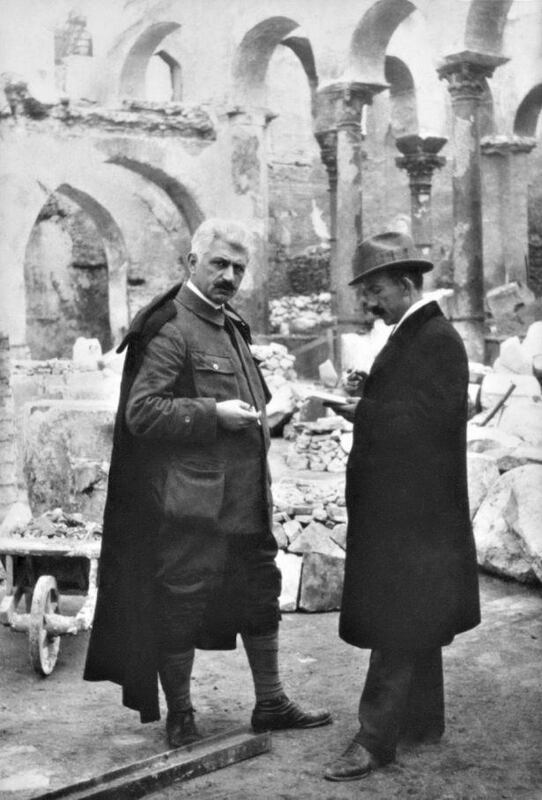 George Sotiriou (right) and Aristotelis Zachos (left) in the ruined basilica of Saint Dimitrios in Thessaloniki during restoration work. Sotiriou Archive. 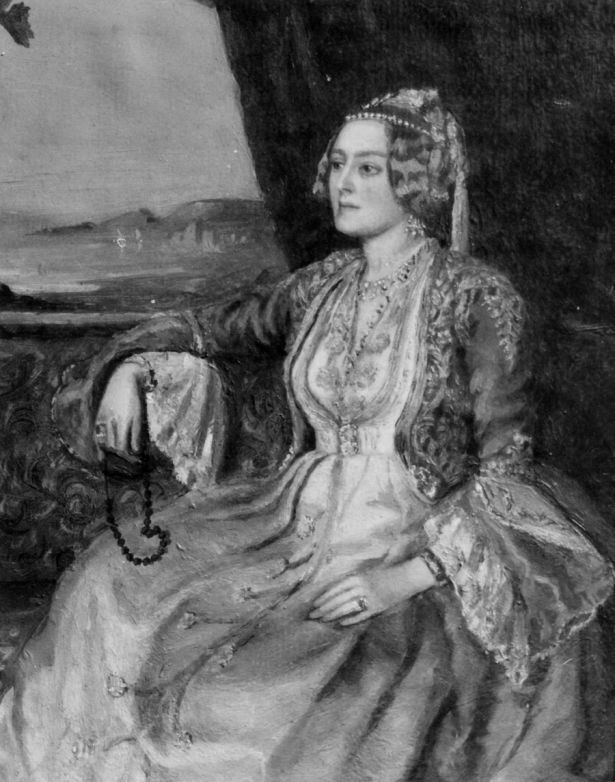 Sophie de Marbois-Lebrun, Duchess of Plaisance (1785-1854). Unknown artist, oil on canvas, National Historical Museum. 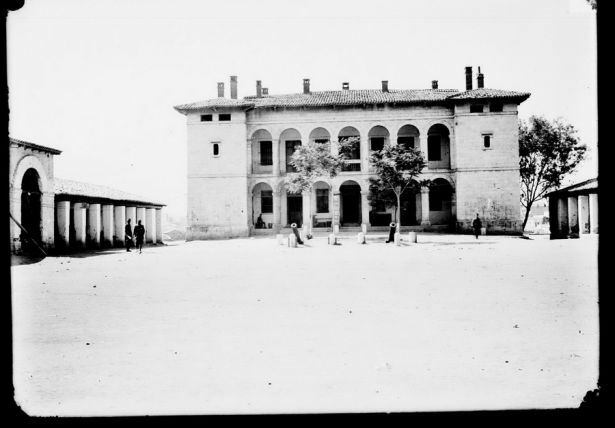 The northern aspect of the Villa Ilissia’s central building when it was in military use. ΒCΜ Hist. Phot. 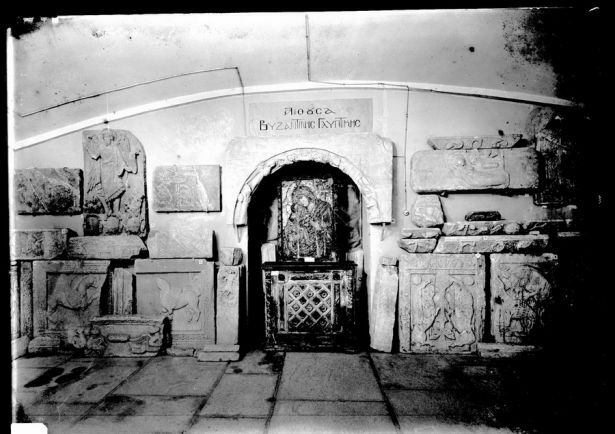 Arch., Sotiriou Archive. The entrance to the Villa Ilissia on Vasilissis Sofias Avenue. 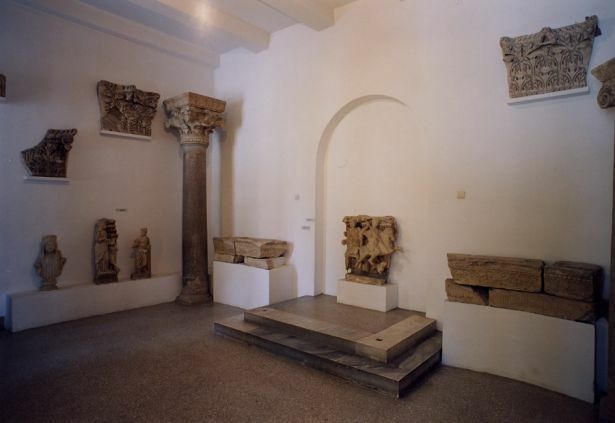 The rooms on the ground floor of the Villa Ilissia with part of the BCM permanent exhibition they housed until 2003. 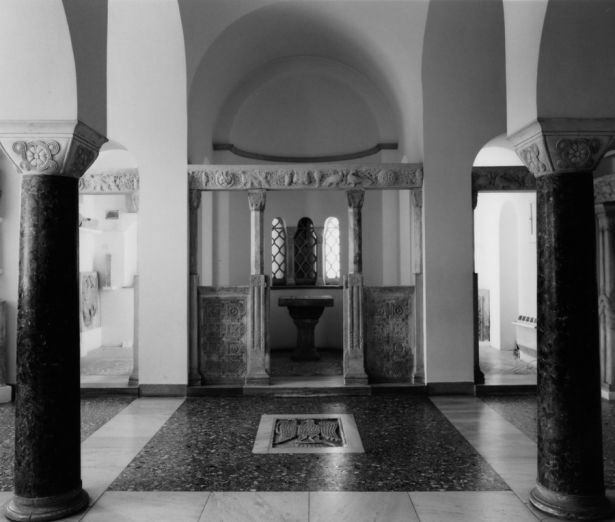 The rooms on the first floor of the Villa Ilissia with part of the BCM permanent exhibition they housed until 2003. 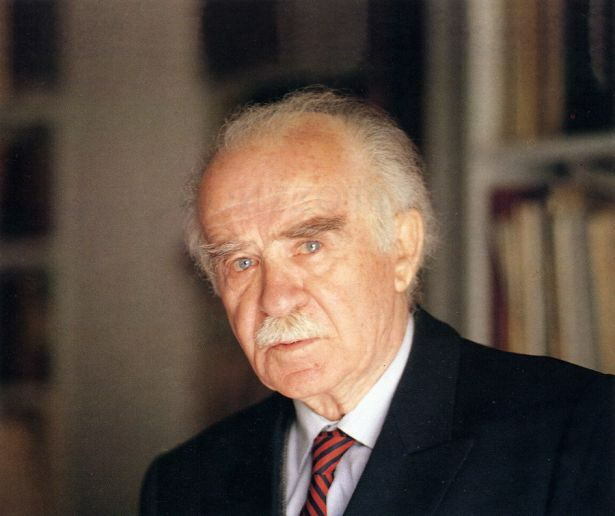 Manolis Chatzidakis (Director of the ΒCΜ: 1960-1967 and 1974-1975). 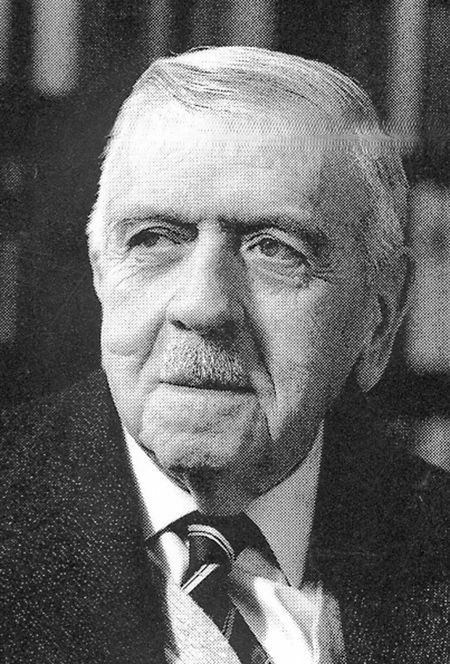 Anastasios Orlandos (Director of the ΒCΜ: 1967-1973). 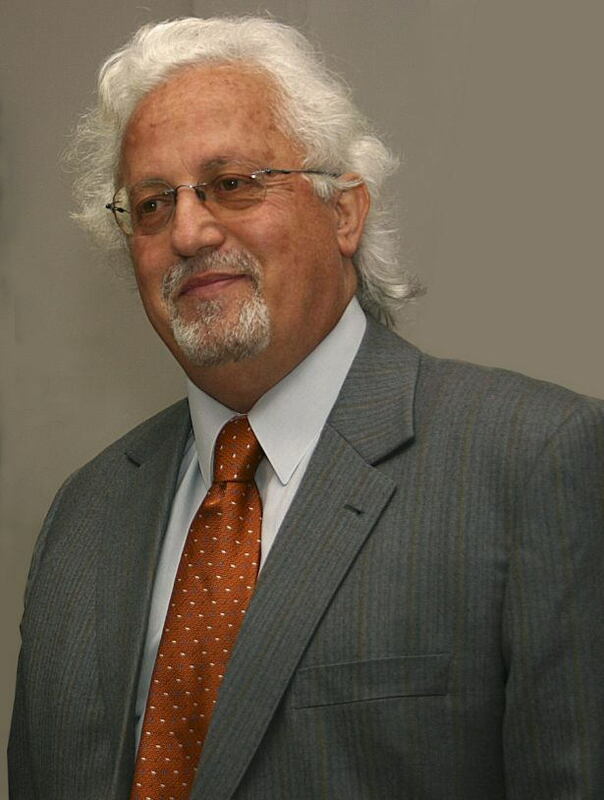 Paul Lazaridis (Director of the ΒCΜ: 1975-1982). 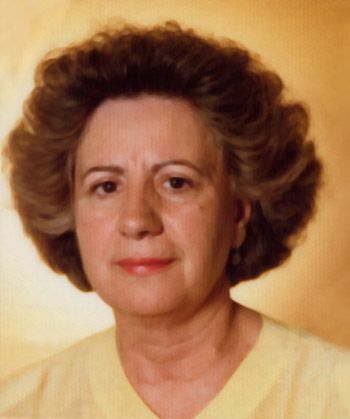 Myrtali Acheimastou-Potamianou (Director of the ΒCΜ: 1983-1995). 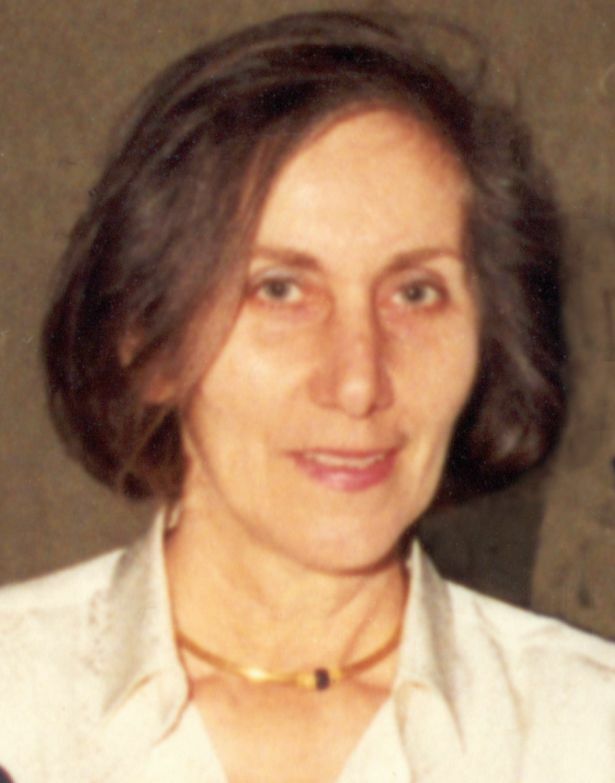 Chrysanthi Baltoyanni (Director of the ΒCΜ: 1995-1999). Exhibition space in the new extension. Demetrios Konstantios (Director of the ΒCΜ: 1999-2010). 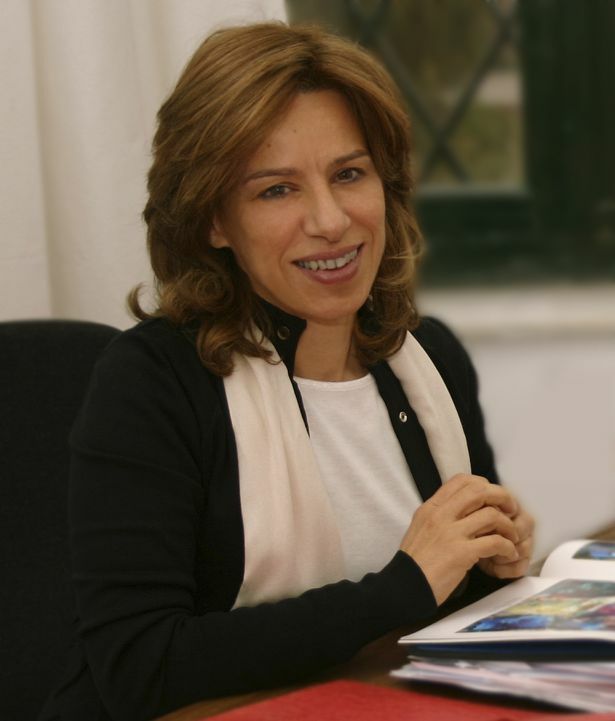 Eugenia Chalkia (Director of the BCM: 22nd December 2010-27th November 2011).